The Iris isa beautiful ladies watch that is powered by a Swiss Quartz Movement. Its dial has a mother of pearl center dial with a matte finish outer dial and has dauphine style hands. 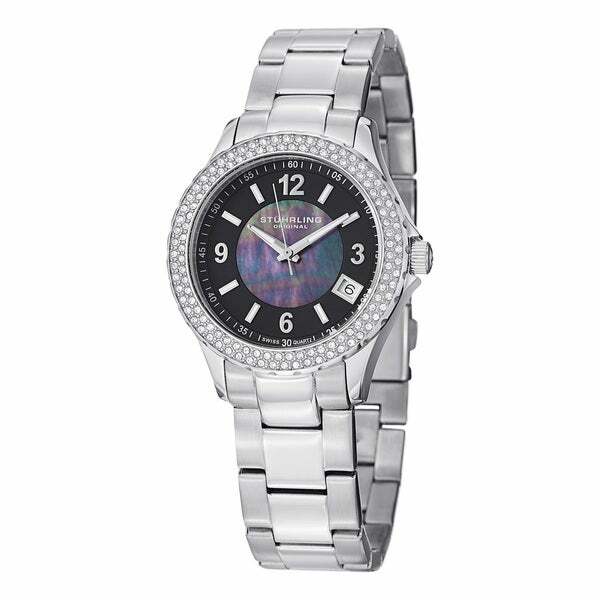 The bezel is polished beautifully with a studded Swarovski crystals. Stuhrling what more needs to be said! Struhrling is a well known top quality watch. Great price! This dial is not your typical face. Can't wait to get it.